I think I am not getting this. It looks like that diagram says that we are engaging only around what is relevant to our own objective. 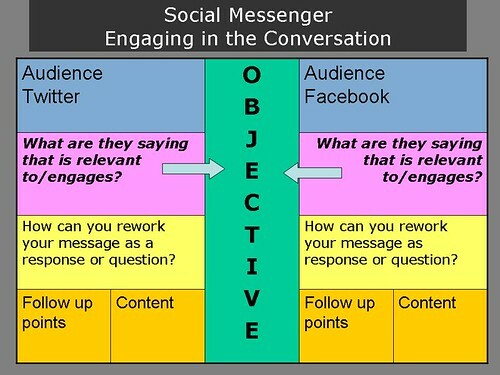 Don't we want to be engaging our audience in the areas/ways that ~they~ want to engage (their objectives) as opposed to engaging around our own objectives? what you're monitoring in real time. of what you need to be effective. Absolutely -- It's that whole "social media helps you be more helpful" mentality...when you choose the right medium, the possibilities are endless. Social media is about listening to the chatter and finding a way in which you can be of service...but social media is also about ways in which you can support the main cause - whether it's human rights, the environment, or whatever your non-profit is dedicated to. So yes, use social media to support your organizations internal objectives -- but don't forget to support the "greater scheme of things" objective, whatever it may be. Great post, Beth -- as always. And I'm honored that you found some of my templates useful -- especially since I have learned so much from you. Your reworking of my social media messenger does a nice job, I think, of simplifying it. 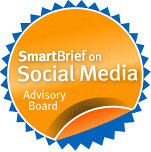 I'm not sure we can ever create the perfect tool to help people craft messages that truly engage in specific ongoing conversations within a community (instead of pushing our messages out to target audiences) -- but I think that even looking at a tool like this is a good prompt, a good reminder. and then there a softer type of communication. I agree with the notion of "softer types of communication". We all have an inherent propensity to throw (or not throw) sheep online. Throwing them often helps our audience to get accustomed to our "social media personality", which hopefully helps build & strengthen social media identity (or conversely, can destroy it, if we're not careful). Either way, working towards an objective is essential, but it doesn't preclude doing so with flair. 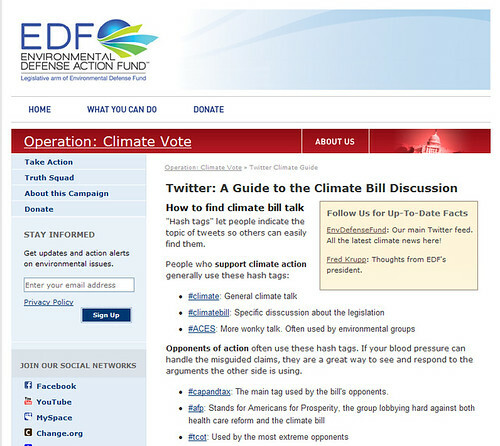 The Twitter guide to the climate change debate is awesome! I love how they have made it so easy for people to engage--including following some of their leaders and providing content they can retweet. I'm assuming that this is something they disseminate through social media? And that they're also using a participatory process that encourages their supporters to contribute content and strategy? I'd love to see more on this whole idea of the extent to which you can shape social media conversations, especially for legislative/social change, rather than (only) participating as it happens. I think that's an important distinction -- conversation that's about building relationships vs conversation that's aimed to align with your specific program messaging and program goals. The tool you and I have been experimenting with is obviously meant for the latter and not the former. I've had some people say that the tool seems an attempt to script what can't be scripted, but that's not really what it tries to do. It merely tries to help you figure out how you might respond to a given post/comment/tweet/whatever in a way that might fit with both your program and the ongoing conversation you are in -- one that didn't start with you and won't end with you and certainly shouldn't be totally redirected by you so that it's all about you/your organization. I also think this tool might be useful to help interns or more junior staff work with others in department. I just wanted to add that listening is the first step. Before jumping in and engaging, you must understand who, what and where: who is talking online about you or your cause, what they are saying and where they are talking -- what websites. It might be that people are not talking about you or your cause on Facebook or Twitter, or that they are most vocal on another platform. One of the biggest mistakes we consistently see is the "build it and they will come" approach. The best way to start is to understand where your community is already and get a sense of the prevailing sentiment. Only then will you be able to plan a social media strategy that is consistent with your broader communications and business goals.